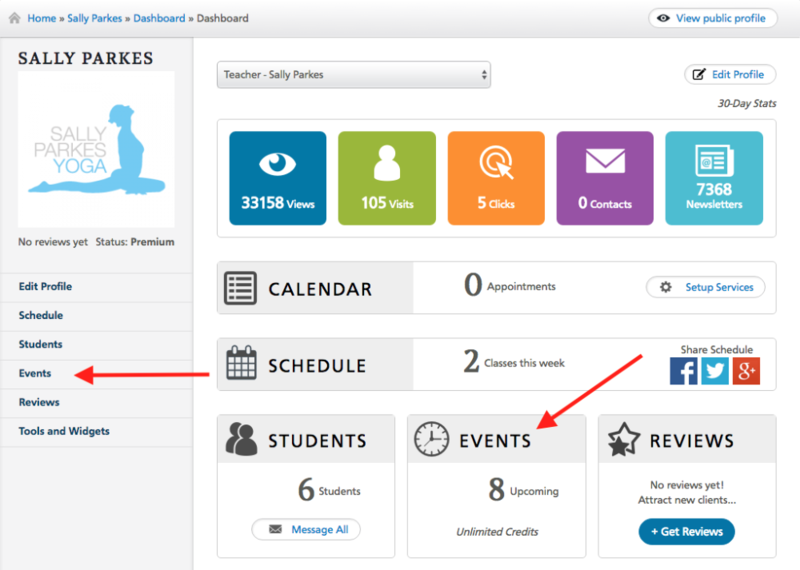 Hover your mouse over the event and the edit and clone icon will appear. 4. 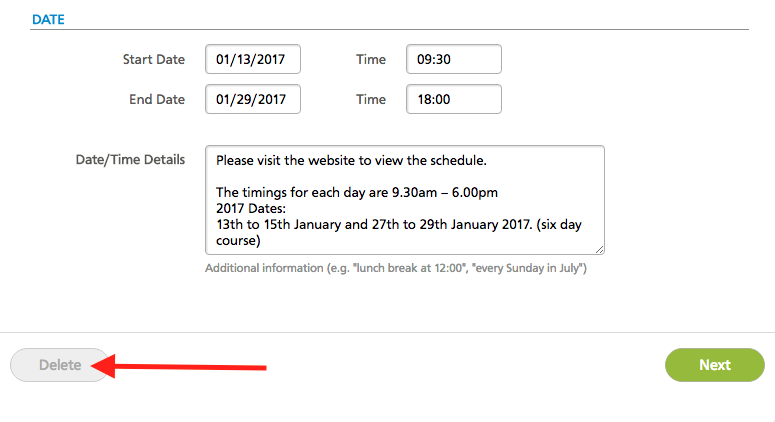 Scroll to the bottom of the event page and click on the grey delete button. 2. 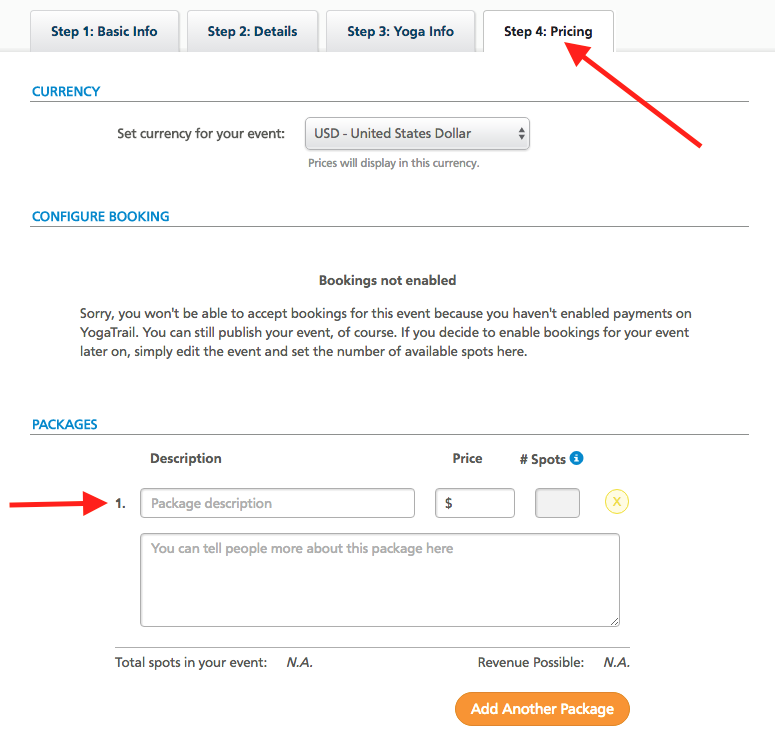 Add a package description and price (you can add any text or number as the event will be deleted). 3. Scroll to the bottom of the page and then click the grey delete button.